For a large number of companies, polls can provetobe very effective tools of helping to gather information. For any company that is serious about growth in the future and gaining that competitive advantage that sets them apart, researchand development is a very important aspect of its operations. It is always important to know what the market is looking for, how the market is responding towards your company’s products, what the market would like to see improved, whether or not the product that you are putting out in the market is meeting the customers’ needs and so on and so forth. This information can only be collected from talking to the market and twitter polls are a very effective way of collecting this information. At this point you might be wondering why one would opt for twitter polls instead of the conventional polls that have been used since time immemorial. You might be looking at twitter as a social media platform that might not help much; this is where you are wrong. You have to understand the very important role that the social media platforms are playing in our world today. As a person looking to succeed in business, it is very important that you jump onto the social media bandwagon. There are quite a number of reasons as to why you should opt for the twitter polls and not the conventional polls. First and foremost, these polls are much cheaper compared to the conventional polls. To have the conventional poll conducted, you will have to hire a professional firm to do it or simply hire people to distribute questionnaires or basically go around asking questions. The information will then have to be compiled and findings reported. Twitter polls will not cost you this much. All you will have to do is to set up the poll on your twitter page and you will have your followers and other twitter users participate in it depending on how much the poll trends. From there, you can easily compile the information that you get. The polls on twitter are also very simple and they usually ask straight forward questions with very direct answers. You will thus find compiling the findings becomes very easy as the poll itself will also immediately calculate percentages for you for the various choices that you have put there. Apart from the costsaving benefit, twitter polls will also save you a lot of time. All you do is set up the poll on your twitter page. You need not go around looking for the sample or people to participate in your poll. You will not have to hire people to conduct the poll and so on and so forth. All you have to do is create the poll your page, set up its timingandwait for people to participate in it. The results will come in already compiled and you will have to do then is prepare a report on findings or just deduce whatever information you wanted form the results. As social media continues to grow all over the world and the platforms become more and more prominent all over, things are really changing and things are really evolving. The various social media platforms that we have today are incorporating a lot of new features to expand the use of the platforms and even enhance the users’ experiences. One such feature that has recently been added is the twitter polls. Twitter polls hit the twitter world by storm and they largely became popular within a very short period of time. At first, they were mostly used for entertainmentandforpeople to increase their visibility on twitter and mostly to popularize TV and radio shows but things are really changing today. Just as with marketing, businesses were not so big on using social media as a marketing avenue when it all started. When social media was not as big as it is today, most people did not really view the platforms available as serious avenues. Most businesses dismissed them as non-serious platforms where one cannot engage in serious content. 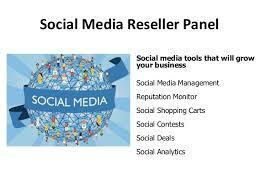 Things have however greatly changed today with the continued growth of the various social media platforms. Businesses are basically getting to understand the importance of having an online presence in the world of today. It isbasically as if you do not exist if people cannot find you onlineand specifically on the various social media platforms. Just as with time people came to the realization that social media platforms were very good marketing avenues, it is really time that businesses start to embrace the benefits that come with twitter polls for their businesses. There isone thing that we cannot deny and that is that twitter is one of the most powerful social media platforms available in the world today; its popularity cannot be downplayed. That being said, it is obvious that onewould expect to enjoy a very hugeaudience on twitter. The truth is twitter is report very huge numbers all over the world with millions and millions of active users worldwide every day. Twitter polls can be a very effective tool for businesses to use in collecting information about the market. It provides you a direct avenue through which you can communicate with the market without having to spend large sums of money and without having to go through various communication channels. With the twitter polls, you can get to find out a lot of information from how the market perceives you, what products the market is looking for, what specifics the market wants to get satisfaction, whether or not the market is happy with the products and services that you provide them with, whether or not the market expects more form you and so on and so forth. All you need to do is set up the poll asking the specific question that you would like answered and wait for the twitter users to give you the information that you are looking for. You will find that it is a very useful platform to use and will go a long way in helping you save both time and money as far as research and development are concerned.